Yu’s lab is interested in applying genomic tools for enhancing resistance to biotic and abiotic stress in forage crops. His current research has been focused on genome-wide association studies (GWAS) of resistance to soil-borne diseases and stem nematode in alfalfa using genotyping by sequencing (GBS). Drought and salt tolerance, and enhanced water use efficiency are also investigated in his group using forward or reverse genetics. Molecular markers and high throughput strategies will be developed and used in marker-assisted breeding to develop improved forage varieties with resistance to disease and abiotic stresses. Grace Chen has obtained her PhD from University of Wisconsin at Madison and her Postdoctoral studies from University of California, Plant Gene Expression Center. She has published more than 44 papers in reputed journals and she is globally recognized as an expert on oilseed biotechnology. Dr. Arron Carter is the O.A. Vogel Endowed Chair in Winter Wheat Breeding and Director of the winter wheat breeding and genetics program at Washington State University. His research focuses in on developing winter wheat cultivars with high yield potential, excellent end-use quality, and genetic resistance to biotic and abiotic stress. To research these goals, he implements the most recent technology available, including marker-assisted selection, genomic selection, high-throughput phenotyping, and other direct and indirect selection methods. His cultivars make up roughly 35% of the production in the Pacific Northwest and Dr. Carter works closely with his stakeholders to ensure his varieties help fit into current cropping systems and lead to high economic return and sustainable agricultural systems. John Salmeron is the Director of PlantSciences at Precision BioSciences, Inc. in Durham NC, USA, and has worked in the field of plant biotechnology for over 20 years. Prior to joining Precision, he held positions in business development and led the agricultural R&D team at Intrexon Corporation, a leader in synthetic biology. John was a research portfolio manager at Syngenta Biotechnology Inc., and held leadership roles directing teams in trait development and genomics. He is the founder of eiiConsulting, an early-stage biotechnology consulting firm, has an A.B. degree from Washington University in St. Louis, and a Ph.D. from Duke University. Faculty of Agriculture of the University of Novi Sad. Honorary Member for International Sunflower Association. S YANG has completed her PhD from Charles Stuart University, Australia. She has been an Associate Professor at Guangxi Academy of Agricultural Sciences, China until 2009. Currently she is a Research officer at School of Agriculture, Food and Wine, The University of Adelaide, Australia. Her major research work on the germplasm evaluation, grain legume crops breeding and molecular marker, herbicide selection and genomic study. She have published with Colleagues in two book chapters; 30 refereed journal papers. genome scaffold for subterranean clover using the de-novo sequencing pipelines anchored to a high resolution genetic map and BioNano optical maps for trait mapping. She has been working with a team of researchers across various disciplines to develop methodologies to enable breeders to identify environmentally friendly pasture legume to tackle future challenges for Australian livestock industries. 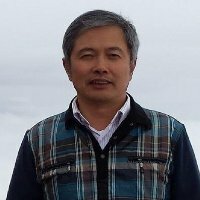 Dr Meixue Zhou has been involved in plant research for more than 30 years which includes more than 10 years of experience in China. His major research areas include physiological and molecular mechanisms of plant biotic and abiotic stress tolerance. He is serving as a review panel member for ARC of Australia and the Natural Science Foundation of China. He is the co-director of Australia China Research Centre of Plant Stress Biology. In last 10 years more than 100 papers were published in various peer-reviewed journals. He is a member of editorial board of several journals. Clive Lo received his PhD at Purdue University. He is currently an Associate Professor at The University of Hong Kong. His laboratory has been working on the biosynthesis pathways of flavonoids in the cereal crops rice and sorghum. They have recently identified a number of phylogenetically conserved enzymes for biosynthesis of flavones which are prevalent in vegetative tissues of grasses. They represent good targets to engineer flavones in edible tissues which do not normally synthesize these health-beneficial phytochemicals. Permanent position as scientific researcher at the National Research Council, Institute of Biosciences and Bioresources (formerly Institute of Plant Genetics) Portici, Italy. 2008 is Assistant Professor at the Department of Arboreal Crops,2011 is Confirmed Researcher at the Department of Arboreal Crops,Þ currently with the Department of Agricultural Sciences in the Department of Arboreal crops merged. Professor Gresshoff is Professor of Botany at UQ. He is also Director of the Australian Research Council’s (ARC) Centre of Excellence in Integrative Legume Research. He received his PhD in Genetics from ANU (Canberra) in 1974 and DSc in Molecular Genetics (also ANU) in 1988. In his 40 year career in plant science he has developed deep interests in plant development and its genetic control. He has focused his interests on legume plants, and especially the process of root nodulation which is a prerequisite for symbiotic nitrogen fixation. He has published over 300 research papers, edited 10 books, and is co-inventor listed on 12 patents. He is a fellow of the Indian National Academy of Agricultural Sciences, the Russian Academy of Agricultural Sciences, and the American Association for the Advancement of Science (AAAS). He is member of numerous international editorial boards as well as expert advisor to the IAEA, the European Union, Qantas, and other biotechnology interests. He is a dedicated teacher and researcher and feels that the understanding of biological processes is essential for industrial development of an idea. Distinguished Professor Dr. Digvir Jayas was educated at the G.B. Pant University of Agriculture and Technology in Pantnagar, India; the University of Manitoba, and the University of Saskatchewan. Before assuming the position of Vice-President (Research and International), he held the position of Vice-President (Research) for two years and Associate Vice-President (Research) for eight years. Prior to his appointment as Associate Vice-President (Research), he was Associate Dean (Research) in the Faculty of Agricultural and Food Sciences, Department Head of Biosystems Engineering, and Interim Director of the Richardson Centre for Functional Foods and Nutraceuticals. He is a Registered Professional Engineer and a Registered Professional Agrologist. Dr. Jayas held a Canada Research Chair in Stored-Grain Ecosystems for seven years. He conducts research related to drying, handling and storing grains and oilseeds and digital image processing for grading and processing operations in the Agri-Food industry. He has authored or co-authored over 800 technical articles in scientific journals, conference proceedings and books dealing with issues of storing, drying, handling and quality monitoring of grains. He has collaborated with researchers in several countries but has had significant impact on development of efficient grain storage, handling and drying systems in Canada, China, India, Ukraine and USA.Dr. Jayas has received awards from several organizations in recognition of his research and professional contributions. He is the recipient of the 2008 Dr. John M. Bowman Memorial Winnipeg Rh Institute Foundation Award, as well as the 2008 Natural Sciences and Engineering Research Council (NSERC) Brockhouse Canada Prize. In 2009, he was inducted as a Fellow of the Royal Society of Canada. He has received professional awards from Agriculture Institute of Canada, Applied Zoologists Research Association (India), American Society of Agricultural and Biological Engineers, Association of Professional Engineers and Geoscientists of Manitoba, Canadian Institute of Food Science and Technology, Canadian Academy of Engineering, Canadian Society for Bioengineering, Engineers Canada, Engineering Institute of Canada, Indian Society of Agricultural Engineers, Manitoba Institute of Agrologists, National Academy of Agricultural Sciences (India), National Academy of Sciences (India) and Sigma Xi.Dr. Jayas serves on the boards of many organizations including: NSERC, ArcticNet, Composite Innovation Centre, Engineers Canada, ISIS Resource Centre, Genome Prairie, International Centre for Infectious Diseases (ICID), MabNet, Research Manitoba, Cancer Care Manitoba Projects Grants and Awards Committee, TRIUMF, and TRTech. He is also chair of the board of directors of RESOLVE, a prairie research network on family violence, and of the advisory board of the Richardson Centre for Functional Foods and Nutraceuticals, a research centre dedicated to the discussion, discovery, and development of functional foods. He has served as President of Agriculture Institute of Canada, Association of Professional Engineers and Geoscientists of Manitoba, Canadian Institute of Food Science and Technology, Canadian Society for Bioengineering, and Manitoba Institute of Agrologists. Currently he is serving as President of Engineers Canada, the national organization of the 12 provincial and territorial associations that regulate the practice of engineering in Canada and license the country's 280,000 professional engineers. Dr. Yinghua Huang is a Research Geneticist for U.S. Department of Agriculture and serves as the Lead Scientist for the Plant Genetics Program. Before that, he served as faculty member for Oklahoma State University for ten years and now remains an Adj. Professor at the university. He is a member of editorial boards for several scientific journals. He earned a Ph.D. in Biological Sciences from Michigan Technological University. His scientific background is in plant genetics and molecular biology, and he has considerable research experience in plant biotechnology, genomics and crop improvement. During his early career, Dr. Huang made a breakthrough in developing a reliable system for producing transgenic larch plant, which represents the first record of genetically engineered conifer tree, carrying the important traits such as resistance to insects and herbicide. Another example of his recent research accomplishments is the systematic evaluation of the US sorghum germplasm collection (> 42,000 accessions), leading to the discovery of important new sources of resistance to greenbug and sugarcane aphids, the most important insects of field crops, including barley, sorghum and wheat, then incorporation of the new resistance into crop breeding programs. Furthermore, using the cutting-edge microarray, RNA-seq and the next-generation sequencing technologies, his lab has generated the differential expression profiles which resulted in the identification of the key genes and the networks that regulate the host defense against insect pests, crop yield traits, and bioenergy quality in sorghum. In summary, the overall goals of his research are to conduct basic studies to enhance our understanding of biological processes in plants, to apply newly developing genomics and biotechnologies to facilitate genetic improvement of crop plants, and finally to improve the production system for a better utilization of agricultural and natural resources. Dr. Huaan Yang is a plant pathologist by training with B.Sc. in1982 and M.Sc. in1985. He complted PhD from University of Western Australia in1992. He became a molecular geneticist following his development of a DNA fingerprinting technology called “MFLP” in 2001. His lab has been the only lab for large-scale application molecular markers on MAS in plant breeding on legume grain crops in Australia since 2004. Since 2011, his lab has been fully switch into NGS and genome sequencing based approaches for pre-breeding in lupin. Dr. Liao completed his PhD in 1994 from Aachen University of Technology, Germany and postdoctoral studies in 1996 from this university. He is the director of Molecular Biotechnology Laboratory of Triticeae Crops, Huazhong Agricultural University. He has published more than 100 papers in reputed journals and has been serving as an editorial board member of International and National Journals. Experimental studies and mathematical modelling of transitions occurring in technological processes: like energy demand, material’s structure formation, etc. Dr. Ajay Parida is a Plant molecular biologist with Ph.D. degree from University of Delhi in 1992. He has made outstanding contribution in the area of Coastal Ecosystem management using modern biotechnological tools. Dr. Parida has over 100 research papers in peer reviewed journals. Dr. Parida is Elected Fellow of the National Academy of Agriculture Sciences and National Academy of Sciences of India. He is recipient of many awards such as Prof. Umakant Sinha Memorial Award, B. M. Birla Prize and National Biosciences Award. He was also awarded Padmashri (a civilian award) by Govt. of India for his scientific contribution. Dr Shashi Kumar is a Team Leader, ICGEB, New Delhi, India. Graduated in Genetics from the University of Delhi, 1998. Postdoctoral research at University of Virginia, University of Central Florida, University of California Berkeley. Scientist at Yulex Inc., USA and USDA, Albany, CA. USA. Participated in establishing the “Centre for Advanced Bio-Energy Research” supported by the Department of Biotechnology, Government of India. His current focuses are on metabolic engineering for drug biosynthesis, metabolic engineering of rubber plant for hypoallergenic latex, DNA barcoding, development of sustainable algal biofuel technology and genetic engineering of marine algae for higher lipid and biomass. Mahendar Thudi obtained his PhD in Plant Sciences from University of Hyderabad, India. Seminal contribution of Mahendar Thudi includes genome sequences of chickpea, molecular breeding products in chickpea, genetic resources like TILLING populations (in chickpea and pearl millet) and genomic resources like SSR markers, genetic maps (in chickpea and pearl millet) and high-throughput DNA fingerprinting, genome diversity analysis, marker-trait associations and chickpea physical map. His research articles (>40) are published in high-impact factor journals including, Nature Biotechnology (1), Scientific Reports (1), PLoS ONE (3), Theoretical and Applied Genetics (1), etc. that are widely read and cited. He completed my Masters in Genetics and Plant breeding from University of Agricultural Sciences, Dharwad, Karnataka, India and later pursued his Doctoral degree in the department of Plant biotechnology. Worked extensively on genomics & transcriptomics plant improvement for his doctoral studies. Later joined University of Agricultural Sciences, Raichur as Assistant Professor of Biotechnology in the year 2011.He was nominated as head of the newly opened department of Molecular biology and Agricultural biotechnology in University of agricultural sciences, Raichur on 2014 and continuing till now. He is guiding three postdoctoral student and advisory member for five doctoral student. Published more than 25 research papers and abstracts.